Google+ Consumer Psyche: Monday blues: A very happy monday! Monday blues: A very happy monday! It pays to wake up to good music and greenery, always. Trust me it would help setting your mood and a good start for the day. 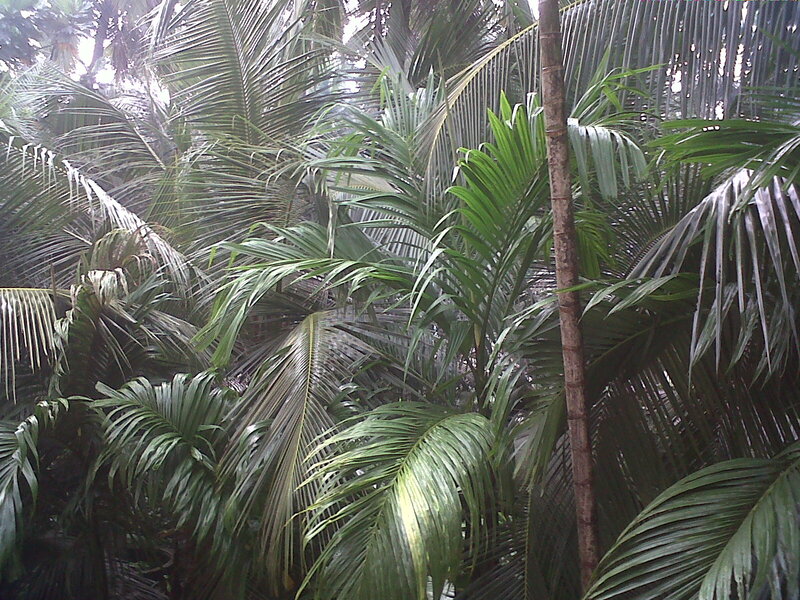 This is the view outside my guest house window in Calicut, Kerala. Wonderful isn't it? You should see when it is raining and birds and butterflies flock under the leaves! Today is Monday, which happens to be my favorite day of the week. I set some personal goals to achieve this week like diet, reading, posting blogs and catching up on things I have been neglecting the whole week. On the work front too I have certain goals lined up and targets I personally want to achieve. This helps in knowing where I am, what needs to be done by when. I recently picked up a Blackberry curve 8520 using which I took the above pic which helps me to be in touch and in control about what needs to be done when. Among the various reviews that are pending here are my new mobile, Blackberry and a wonderful book titled My Story by Arti Honrao which would be done this week. Happy successful Monday and have a great week ahead.